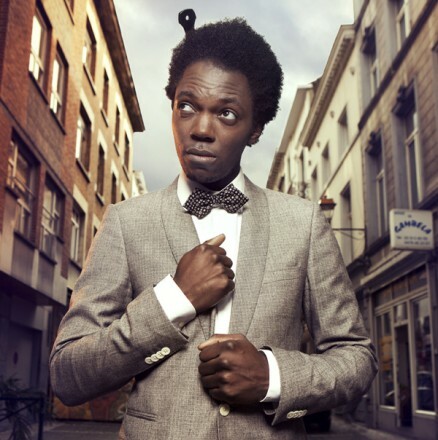 Baloji is a quirky Belgian rapper and crooner with Congolese roots whose nom de guerre means “sorcerer” in Swahili. His inventive mix of rap with vintage Congolese soukous, rumba and 60s soul grooves performed in a highly original way has garnered him a huge fan base. Critically acclaimed for his modern interpretation of Congolese music, Baloji is at the forefront of redefining African music in a savvy, modern way. He will be joined by his elegant band on guitar, bass, keyboards, percussion and a horn section.